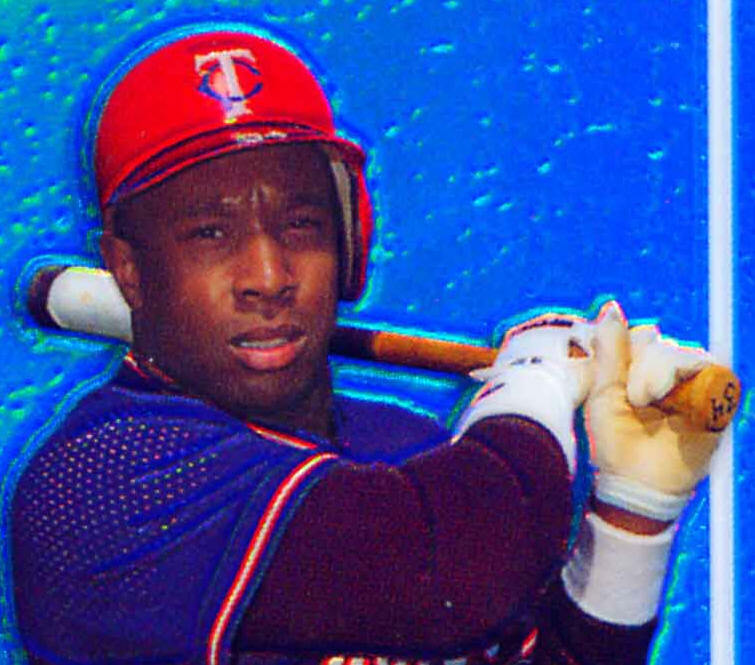 Bat Specifications Kirby Puckett came up with the Minnesota Twins in 1984 and remained with the team until an eye ailment forced his untimely retirement in 1996. 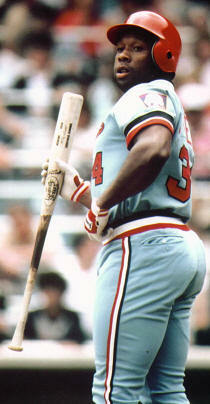 During that time Puck recorded 2304 hits, over 200 hrs, over 1,000 runs and RBI, and batted .318. 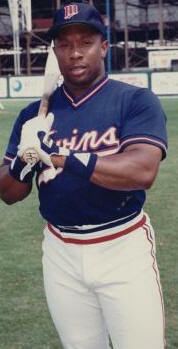 He was elected to 10 consecutive All Star games and let the Twins to two World Championships in 1987 and 1991. 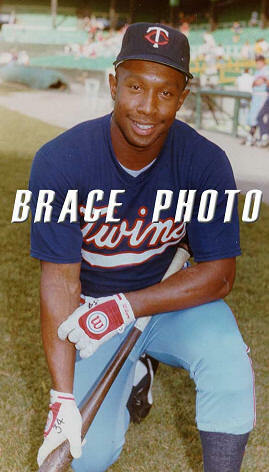 Although not a long career, Kirby Puckett accomplished a lot. To accomplish these feats, Kirby no doubt went through a lot of bats In this section I will outline some of the different bats the Puck used during his career. In terms o f bat length, they varied from 33.5-36" with 34-34.5 being the most common. In addition, bat weights seem to vary from 31-33 oz with a very few exceptions with bats weighing as much as 36 oz. Listed below are all of the different models ordered by Kirby throughout his career. Puckett pre-rookie bats include several R43C models and one order of D2s During the 84-85 labeling period, Kirby ordered R43 and S318Cs primarily with R43C, C243 and B267C being ordered on just a handful of occasions. 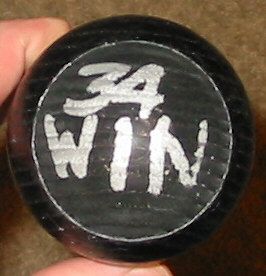 Throughout the 1986-89 labeling period, Puck primarily used C243s. On rare occasions it appears that R43, S226, P116, R161and R206 were also sent to the Twins on Puckett's behalf. In 1990 Puck used C243 and P116 exclusively with them being cupped on occasion. Finally, during the 91-95 labeling period, Kirby ordered C243s, P116, and P339 most often. It was during this time that Puck made a one time offer of 12 I13s and used other models including P89 and M159s. Information regarding Puckett bat orders are compliments of Jim Caravello....Thanks Jim! I have found several photos as well as have owned several examples of early Puckett bats with a tape wrapped handle (see Puckett photos below). In these instances, the tape generally runs 8-9" up the handle from the knob. This appears to be most prominent between 1984-1986. 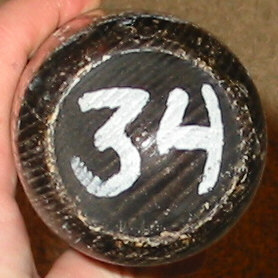 It appears that Puck began using Tape again somewhat later in his career during the 91-95 labeling period. 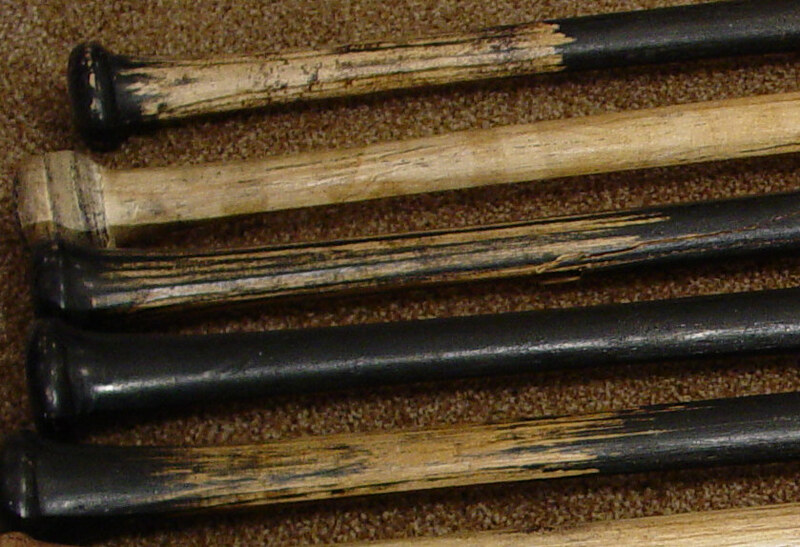 I have owned numerous Puck bats from this era with a fairly even split between bats with tape and without tape. During this period, the tape application is most commonly applied in a criss-cross or spiral wrapped style. In lieu of tape, at some point during the 1990s began to shave the handles of his bats. This is often more difficult to pick up in blond bats but is abundantly clear in many of the black colored 1991-95 Puckett Louisville Slugger bats that I have owned and seen. 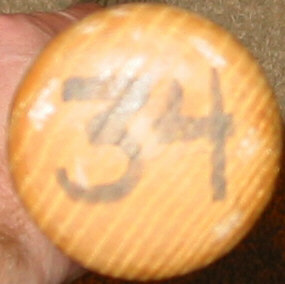 Probably the most unique feature of Puck bats are the knob and barrel markings. 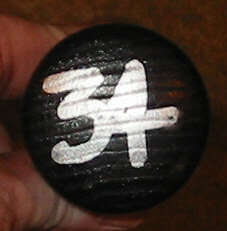 One interesting note is the change style of "34" added to his bats.  Very commonly, the older Puckett bats (84-85 and 86-89) have an "open" 4 style while the later 86-89 bats and 91-95 era bats demonstrate a "closed" 4 style (please knob photo examples below). 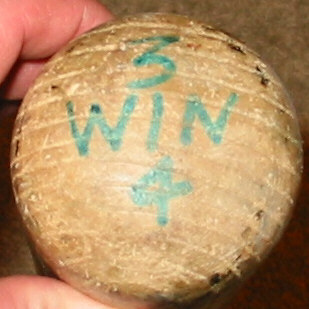 Another common characteristic that I have seen with Puck bats is for him to include the word "WIN" on the either the knob or barrel end. Often times in some ornate or clever manner. 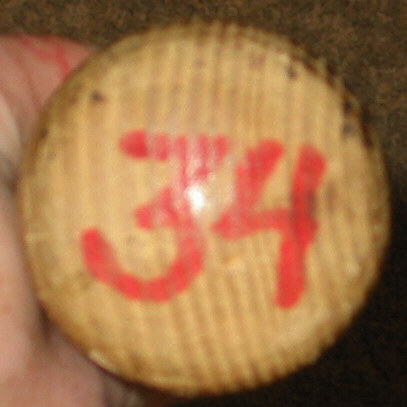 In addition, in lieu of his uniform number, I have owned several examples with either "KIRBY" or "PUCK" written on the knob or barrel end. The top bat is an 84-85 era Puckett gamer and the other four are 86-89 era Pucks. Notice the tape application on the top three bats. Based on the bats that I have owned and photos I have studied, it appears that this is a characteristic displayed by Puck from around the time of his call up in 1984 until sometime in 1987. Notice the criss-cross tape in the top three photos. The criss-cross tape appears exclusively in 1991-95 era Puckett gamers. In addition, the 1990s, we see Puckett using more pine tar and shaving his handles. 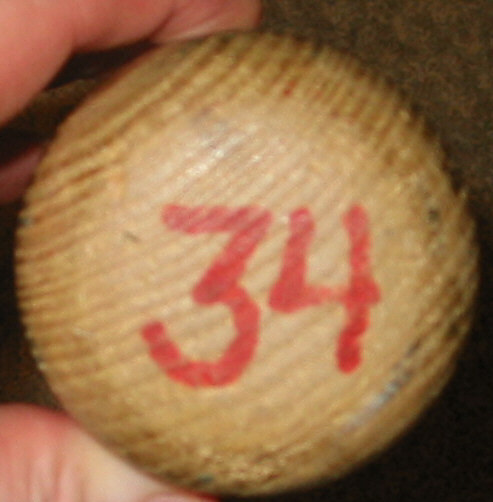 An example of a shaved handle is most apparent in the fifth bat down. Thanks to Brent Bagnall for some of the additional Puckett bat photos...Thanks Brent! Notice the vintage "open 4" above and the more common "closed" 4 on the bottom. 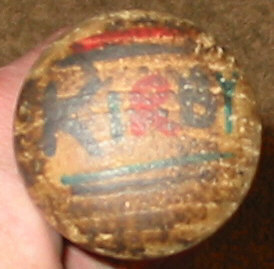 In addition, there a few examples of Kirby adding "WIN" to his bats as well as a multi-colored "KIRBY" in lieu of his uniform number to identify his bats in the bat rack.